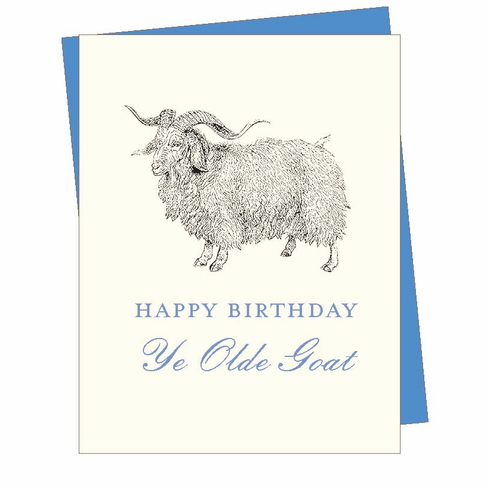 "Happy birthday, Ye Olde Goat" reads the outside text. It is paired with a vintage illustration of a goat. Perfect for men with a sense of humor! Blank inside.